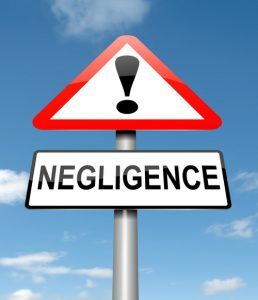 Only car accidents caused by negligence are compensable, meaning that if you were injured because of the wrongful or careless conduct of another person, then you may present an injury claim for your damages. Because car accident claims can be complicated and you can easily jeopardize your chances of receiving a fair settlement or the benefits to which you entitled if you represent yourself, retaining an experienced car accident lawyer such as Neil Burns of Boston is imperative. A motorist who uses ordinary care cannot be held liable for an accident. 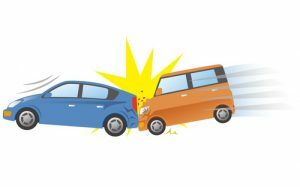 If the motorist suddenly lost control because of a system malfunction that led to a loss of control but the driver had otherwise exercised ordinary care in maintaining the car and abiding by the traffic laws, then no liability attaches for any resulting damages. However, the car’s designer or manufacturer, or whoever serviced the vehicle, may be liable. Truck accidents are different from typical car accident claims. Truckers are commercial drivers and the companies are commercial carriers so they are held to a higher standard of care. Accordingly, state and federal regulations come into play as violations can be factors in causing an accident. Such claims should only be handled by an experienced car accident lawyer. Drivers breach the standard of due care when their conduct falls below that which is expected of an ordinary person under the same circumstances. Breaking a traffic law such as speeding, travelling too fast for the traffic conditions, distracted or impaired driving usually means you have breached that standard, meaning you have engaged in negligent conduct leading to an accident. Causation is a legal element of negligence that can be complicated. In car accidents where the victims suffer a fractured limb, disfigurement or a damaged spinal cord, it is obvious that the responsible party’s negligent driving was the cause of the injuries. But many times, the claimant had a preexisting condition and it is difficult to prove that the accident substantially caused the alleged injury, or additional pain and suffering. For instance, many people have prior back pain or limited motion in their back. Others have preexisting knee injuries or cognitive impairments. You can still recover compensation, however, if your condition was exacerbated or made worse by the accident. To prove this, your treating physician or a specialist has to apportion the resulting condition or assign a percentage to what was caused by the accident and to the condition you were in before the accident. Causation may also be an issue in delayed injury cases where symptoms may not manifest for several days or week or longer in some cases. Head injuries, herniated disks or emotional trauma are examples of injuries that may not appear for some time following an accident, which defense attorneys and insurers may assert are not related to the car accident. Economic losses are proved by producing medical bills and records, employment records and reports from economists if you will be suffering future loss of wages because of a permanent disability. You can also recover lost income if your injury caused you to be delayed in receiving an academic degree so that you had to put off entering the job market where you could have earned X number of dollars per year. If you have ongoing medical problems, your health care provider can testify or present a report regarding the nature of your future care and cost. Non-economic losses are premised on the nature and extent of your injuries. If you lost a limb, sustained a cognitive impairment or partial paralysis, your Boston car accident lawyer can present witnesses or other evidence demonstrating how your quality of life has been lessened. What can you do to help your car accident attorney? Keeping a diary of how you spend each day, the pain medications you have to take and what activities you can no longer engage in will be considered by a jury or trier-of-fact in arriving at an award for your pain and suffering. If you have PTSD or other psychological trauma, then a psychologist or psychiatrist will have to show evidence that you exhibited symptoms consistent with such trauma. Burns & Jain is an experienced Boston car accident law firm that has handled the typical to the most complex car, truck, motorcycle and other motor vehicle accident claims for more than 30 years combined. Contact them today for a free, in-depth analysis of your injury claim.